Understanding local customs is one of the hardest parts of settling into any new country. Sometimes the more similar your culture seems to the 'Kiwi' culture, the harder it can be to understand subtle social differences. ‘Kiwis’ generally describe themselves as ‘friendly but reserved’ and ‘open but respectful’. It can be hard to know what exactly that means, so don’t be surprised if it is all a bit confusing at the beginning. Kiwis are also great travellers, and we understand that adjusting to somewhere new can be different. Sp do not be afraid to ask someone to explain anything you find confusing. It is often the easiest and quickest way to learn. You will find that most Kiwis are approachable and willing to help. Sharing food is a common Kiwi way of bringing people together in a relaxing atmosphere. 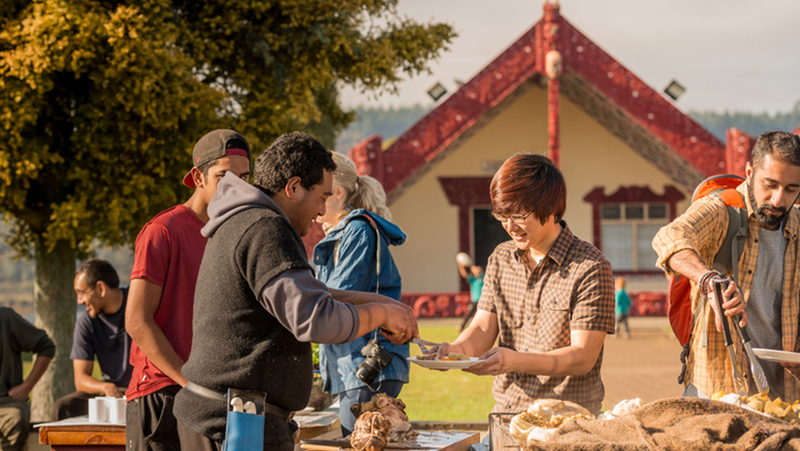 Whether it is a picnic on the beach, a traditional M?ori h?ngi, a school fundraiser, or a barbecue with neighbours, you will find that food and friendship go together in New Zealand. It is common to contribute to this hospitality by taking food or wine to share. If the host says “don’t bring anything”, you can still take a small gift, a drink, or a plate of food to share. When your host says ‘bring a plate’, it means please bring some food to share. Generally, everyone brings some food to share. When we say ‘bring a plate’, it means please bring some food. If there is a barbecue, it is common to take a salad or bread and meat to share. People usually also take their own drinks. The host will provide some food and drinks also. Please be aware, Kiwis have a relaxed attitude to invitations. Sometimes people will say they are coming to a party and not turn up. Do not take it personally. Coffee and tea are also an important part of Kiwi socialising. If you visit someone’s home you will usually be offered a coffee or tea. "Going out for coffee” (even if you drink tea) is a regular event. Cafe culture has become very prevalent in New Zealand over the last decade, similar to the pub culture of the United Kingdom, cafes have become a social meeting place for families and friends. We also have a drinking culture in New Zealand, but it is fine to have non-alcoholic drinks when you are socialising. If someone is ‘shouting drinks’, it means they are providing or paying for the drinks. Drinks after work on Friday are quite common in New Zealand too. This is mainly for work colleagues. Other family members do not normally come, although this depends on the workplace. If you are not sure, ask. The legal age for buying alcohol in New Zealand is 18. There are strict rules against providing alcohol for people under that age. There are also strict rules for how much alcohol you are allowed if you are driving, with most people choosing a designated non-drinking driver. Smoking is increasingly rare in New Zealand and is prohibited in public buildings, including bars and restaurants. Generally, people are expected to smoke outside. If you want to smoke, it is polite to ask the people around you if they mind, even if you are outside. On the surface, Kiwis are friendly and outgoing. But many are also quite private. Although it is easy to start a conversation with most Kiwis, some do not like sharing a lot of personal information. It is okay to ask people what they did on the weekend or how their children are. Sport and weather are also safe topics. Another point to note, we come from a land of wide open spaces so we are not used to having people stand too close to us. For some, crowding in the big cities can be quite overwhelming. We walk on the left side of the footpath and we smile at each other a lot. Some of our customs come from M?ori culture. For example, you are often expected to take your shoes off indoors and it is important not to sit on tables or pillows. M?ori people will often say a prayer (karakia) to bless food before eating it, and they may greet you with a kiss on the cheek. Most Kiwis will give you a hug, kiss or handshake when you arrive at their house. Kiwis are generally kind hearted and want to help, and do not like saying “no”. Sometimes we will say “no” in an unclear way, which can be confusing to newcomers. We may say “not sure” or “not really”. We may even say “yeah nah”, which means “probably not”. “Yeah right”, especially when it is said in a sarcastic way, means “definitely not”! 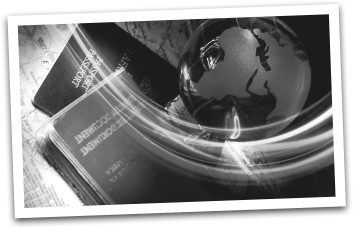 There is a great Immigration NZ tool called WorkTalk that demonstrates how we communicate in New Zealand workplaces. Kiwis speak very quickly and use a lot of slang. Even if English is your native language, this can be confusing. Do not be afraid to ask people to slow down, or to repeat or explain what they said. To get used to the Kiwi accent, we suggest that you listen to some radio broadcasts. You could also watch some New Zealand films and television programmes online. Hopefully these tips will help you settle in to our Kiwi way of life. Remember, it’s okay to ask for help, and have patience with us and we will hopefully have patience with you.